At the proposal of its Commission for Culture and Olympic Education, the IOC has awarded the Olympiart prize to Mikis Theodorakis. This Prize was established in 1992 to recognise artists who contribute through their work to the promotion of sport, young people and peace. It was presented at the close of the 116th IOC Session in Athens. In his tribute, the Chairman of the Commission for Culture and Olympic Education, Zhenliang He, presented Mikis Theodorakis as a man who symbolises the spirit of the country of origin of the Olympic Games, as a man of peace who has never ceased to fight for freedom, and as a man of culture who has brought Greek music to the stage of the entire world for four decades. Jews are... at the root of evil... They hold world finance in their hands... The Jewish people control most of the big symphonic orchestras in the world... [they] now appear to control the big banks. And often the governments. I wonder when we'll see someone who has expressed such poisonous beliefs towards some other religious, racial or ethnic group - beliefs Theodorakis shares with your average neo-Nazi thug - being lauded as a man of peace. The government prosecution of Tempo is "a draconian step, to have the criminal law used against journalists for doing their job," said Jim Nolan, an Australian lawyer representing the International Federation of Journalists as an observer at the trial. "We thought this was all behind us." [F]ree speech does not include the right to commit the criminal offence of incitement to murder. ... They say it is "cultural imperialism" to challenge gay rights abuses in Jamaica. I don't remember anyone accusing me of cultural imperialism when I supported the ANC's freedom struggle against apartheid. In those days we called it international solidarity. Some defend violently anti-gay reggae music on the grounds that homophobia is "part of Jamaican culture". Racism was part of Afrikaner culture in apartheid South Africa, but that did not make it right. By this logic, we should also accept cultural traditions like pogroms, female circumcision, lynchings and honour killings. Anti-Climacus, Blognor Regis, Edge of England's Sword (The), Eric the Unread, Fainting in Coyles, Non-Bloggish Blog (The), normblog, Plastic Gangster, Stephen Pollard. I'd like to say on my own behalf that I have some serious reservations about this (hat tip: Chris Shannon). Update: The Gangster is also Jewish (Reform), somewhat to his surprise. The question for students who had been studying Macbeth began: "In Macbeth, Banquo warns Macbeth about the Witches' influence." It then asked them to imagine that they were giving advice to readers of a young people's magazine and to respond to the following request: "I have recently moved school and made some new friends. I like spending time with them, but my form tutor thinks my work is suffering. What should I do?" A QCA [Qualifications and Curriculum Authority] spokeswoman said the question was "designed to have a thematic link to the Shakespeare test". For those with access to the Times, the rest is here. For those without, visit Eric (via whom). I'm not in a position to say any different, obviously. Maybe the play is all it's cracked up to be here. But I wanted to give the context for what happens at the end of Kellaway's article; which is that Richard Eyre, Nina Bawden and Harold Pinter are reported somewhere between disappointed and aghast at the fact - or prediction - that Tony Blair, though he's evidently to be invited to see the play, won't be going. Where do they get off, these folk? I mean, where does it come from, the idea that Blair is somehow duty bound to see their anti-war drama? I'd genuinely like to know the answer to that. Is it that they think they get to decide what's of primary importance in the world and others must choose how to spend their time according to that decision? Surely they're not so presumptuous. Or is it the lambs business once more - the delusion that Hare's play embodies a standpoint on the Iraq war which might somehow have escaped Tony Blair's and everyone else's attention, on account of the monolithically pro-war media? In another voice, of course, the same people will tell you that most of the country were opposed to the war. Is it, then, that most of the country, while being opposed to the war, overlooked that they were opposed to it because the monolithically pro-war media fooled them? As the saying is, go figure. Various aspects of this speech strike me as naive or fantastic (not least the magical powers of special ops), but for the sake of historical accuracy I merely point out that there is a historical precedent for bombs and airplanes bringing democracy. 'How? When?' He sits up, suddenly rattled. I mention Germany and Japan in the Second World War. So I ask how Kosovo was a threat to US security. Leaving aside what he had said a moment earlier about the Marshall Plan, I say that when I visited Kosovo it was less about bringing business than preventing communal bloodshed. Robbins is not a politician and it is therefore a little unfair to parse his words, teasing out the contradictions and inconsistencies. But his muddled thinking, in which the only continuum is that American foreign policy is always bad, informs his writing as a dramatist. He shows me a scene that he's editing from Embedded that is both pretentious and simple-minded - not a happy combination - and is reminiscent of the worst shouty agitprop. Dr Williams said that neither he nor any Christian could control access to heaven. "It is possible for God's spirit to cross boundaries," he said. "I say this as someone who is quite happy to say that Jesus is the way, the truth and the life, and no one comes to the Father except by Jesus. But how God leads people through Jesus to heaven, that can be quite varied, I think." I like the breadth here: Christians don't control access to the Big Place, there's room for others too; God lets them in there in the most varied of ways - via Jesus. Via Richard, across the way at the Non-bloggish blog, I just did the Belief-O-Matic test for what religion (if any) I should consider practising. Here are my results. Naturally, I protest this outcome and conclude there's something wrong with the test. Where did I lose the 5 percentage points for 'secular humanism'? Only consolation is that Richard's result on 'secular humanism' would have dismayed me more. It has now been demonstrated that inhaling traffic-polluted air can be equivalent to heavy smoking (Taking the Oxford air adds up to a 60-a-day habit, August 28). I look forward to reading that anti-smoking campaigners are now calling for a ban on car driving in public places. Well, exactly. It just makes you tired how people won't see reason. Still, why worry now when this is what's on the way. [E]ngineers at NASA..., Boeing Co. and elsewhere say the basis for a flying car is there. 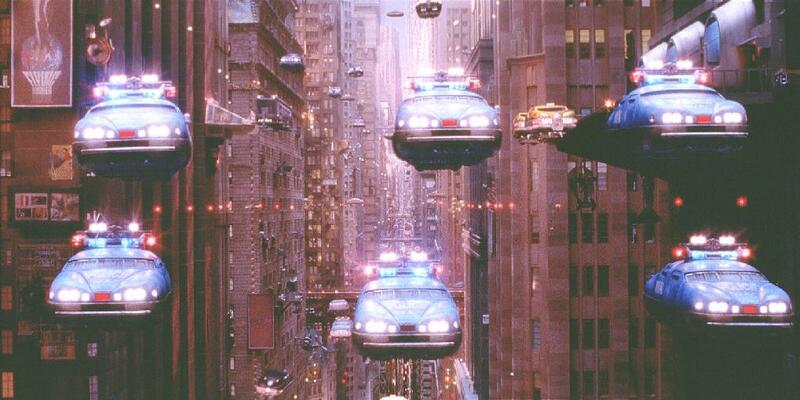 Boeing is especially interested in the broader problem of figuring out how to police the airways - and prevent total pandemonium - if thousands of flying cars enter the skies. No one wants to be cut off, tailgated or buzzed a little too closely by a student driver at 1,000 feet. I'm bound to say, I have different priorities in this general area.